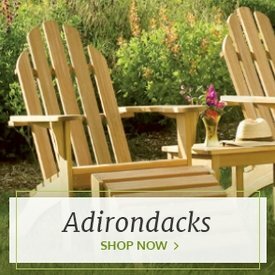 No porch or patio is complete without a perfect table, whether it's a small side table to complement lounge chairs or a spacious dining table for outdoor dinner parties. 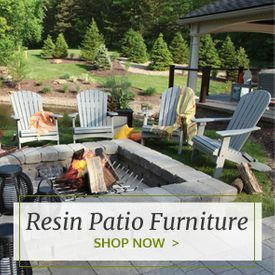 Outdoor Furniture Plus offers resin patio tables in all styles and sizes, and they are made of a material that is much more durable and low-maintenance than traditional wood. 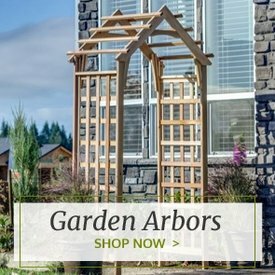 Poly resin consists of recycled plastics that look just as attractive and classic as wood, but because it doesn't rot or split, it can be used outdoors for years to come. 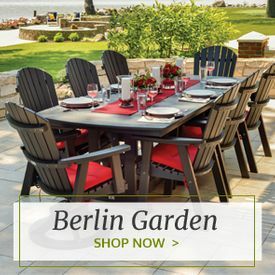 Our poly resin patio tables are made by top brands like POLYWOOD® and Berlin Gardens, and they come in a variety of stylish colors from classic wooden stain colors to bright pops of turquoise. These colors are also completely resistant to fading due to the durable nature of the poly resin. 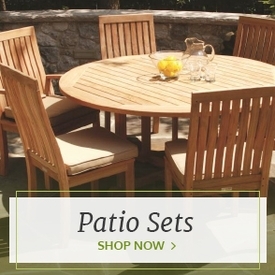 Create a custom look for your patio or garden with a resin table from Outdoor Furniture Plus.